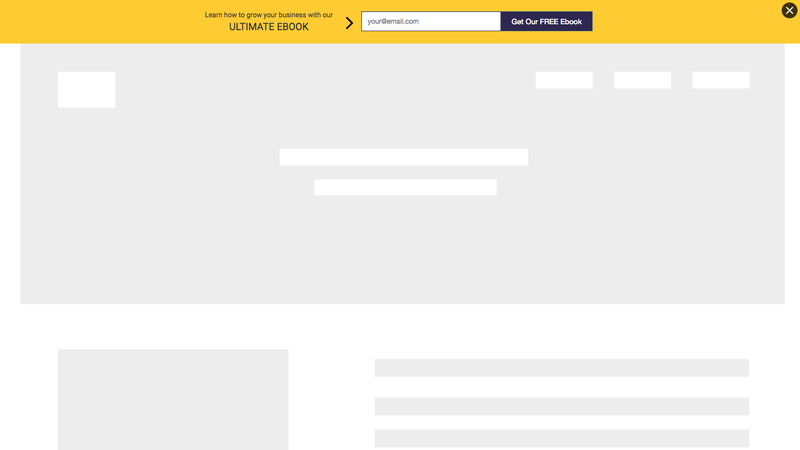 Turn more website visitors into leads with an Opt-In Bar. 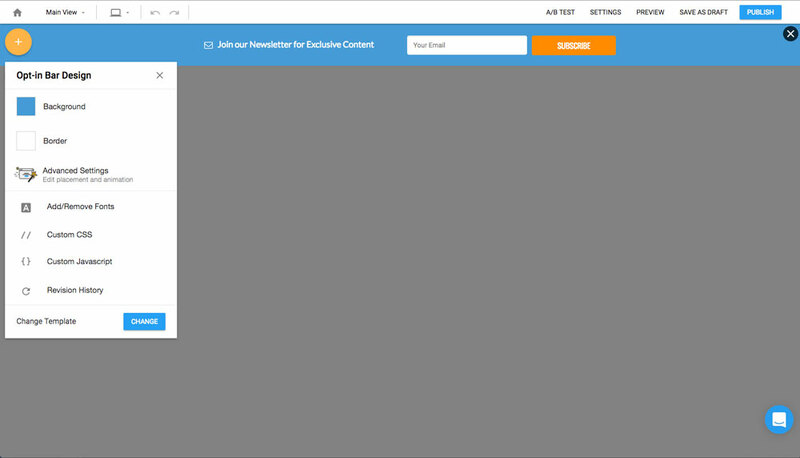 Wishpond’s free list-building tools make it easy to add an Opt-In Bar to your website. Build your Opt-In Bar without any coding. Drag and drop objects and style them with simple controls. Our saved library of images and colors means that matching your website is quick and easy. 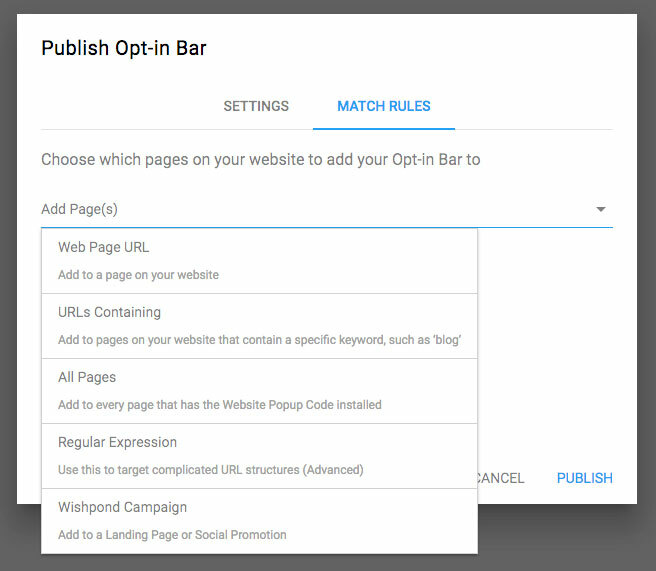 Choose which pages or URLs your Opt-In bar shows on quickly and easily from one menu.  Create and test variations of your Opt-In Bar with a single click. Wishpond runs the tests for you and delivers real-time analytics within the campaign’s dashboard. 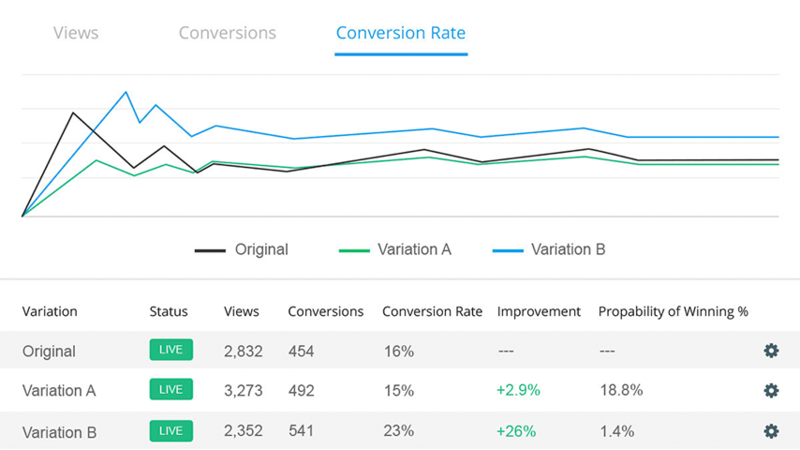 We calculate statistical significance and allow as many testing variations as you like.